A Doppler ultrasound is a noninvasive test that can be used to estimate the blood flow through your blood vessels by bouncing high-frequency sound waves (ultrasound) off of circulating red blood cells. A regular ultrasound uses sound waves to produce images, but can’t show blood flow. Color doppler shows the movement of blood through arteries and veins. Color doppler is very important for accessing the presence or absence of blood flow through structures within the body. This is very important when evaluating the endometrium for a mass or polyp as well as evaluating the ovaries. Color doppler also plays a very important role in helping one access whether echoes seen within the ovary represent hemorrhage (blood), a characteristic demonstrated by benign masses, or solid tissue that contains blood flow, a characteristic demonstrated by malignant masses. 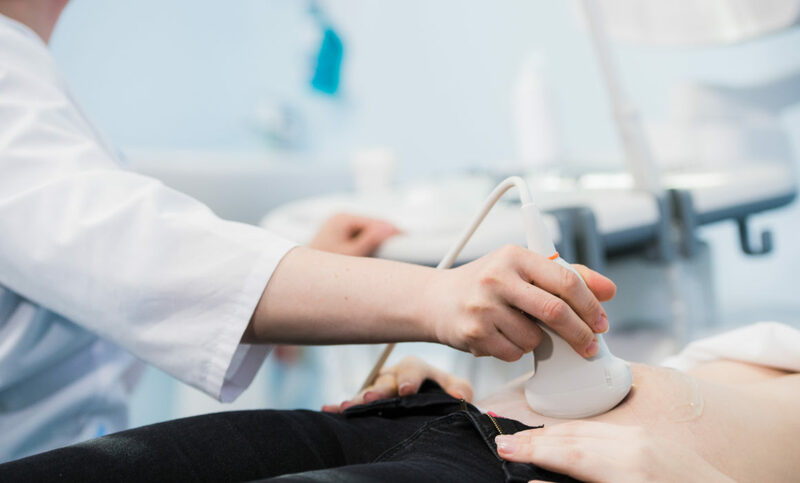 An experienced, knowledgeable sonographer has the skills to evaluate a mass for increased vascularity, enlarged, tortuous vessels and anastomoses. It is very important that your ultrasound machine has the capability to perform this function. It is equally important that your sonographer has the necessary knowledge and experience to interpret the color doppler findings. At Soundwaves, we facilitate these services and more for your office and your patients. Please visit soundwavesimage.com or call 305-803-4823 for more information. 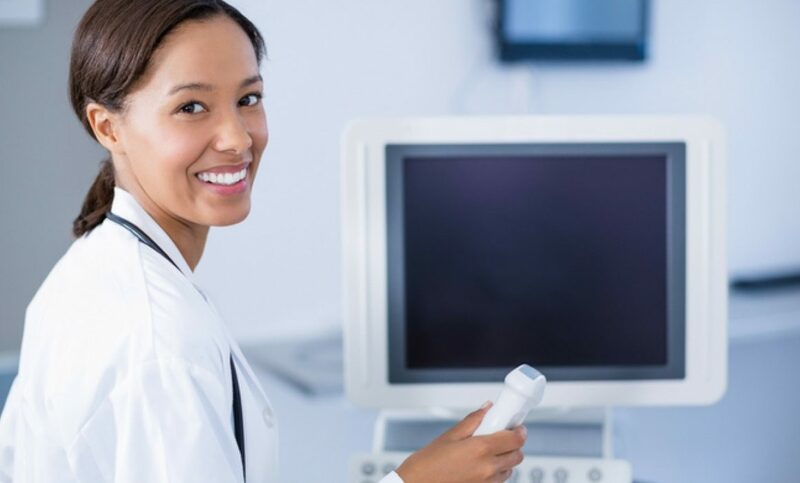 The American Registry for Diagnostic Medical Sonographers is an independent organization that administers examinations and awards credentials to sonographers (ultrasound technologists). The ARDMS promotes quality care and patient safety through the certifications and continuing education requirements of ultrasound professionals. To obtain the RDMS credential, (Registered Diagnostic Medical Sonographer) applicants must pass two examinations. One is the Sonography Principles and Instrumentation examination which tests basic physical principles, physics, and instrumentation knowledge. The other exam is a specialty examination. The specialty areas that are available to choose from include: Abdomen, Breast, Fetal Echocardiography, Obstetrics and Gynecology and Pediatric Sonography. In order to sit for the exam, sonographers must have completed a sonography program. 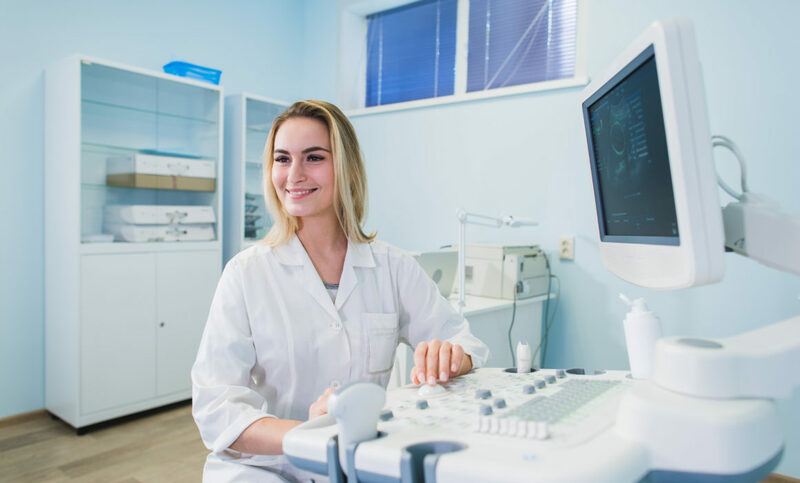 Accredited sonography programs are usually 2-year programs and often a 2-year science degree with the appropriate prerequisites are required to be selected for the sonography program. Soundwaves only hires sonographers that have attained their RDMS credentials. Quality is the foundation of Soundwaves. Denise Barbato, Soundwaves founder, has held the RDMS credentials in Ob/Gyn since 1994 and knows well the importance of having and maintaining them. When we are on the front lines, ruling out the possibility of a 2mm polypoid mass that may be cancerous, an experienced and credentialed sonographer is of utmost importance. If you would like to experience the Soundwaves difference and work with our experienced, credentialed sonographers contact us today! 3D Ultrasound plays a very important role in the area of gynecology. 3D ultrasound can detect uterine morphology, abnormally shaped uterus, fibroids, polyps and misplaced IUDs in a way that is unattainable with 2 dimensional ultrasound. For example, IUD placement can appear normal in 2D and when evaluated in 3D, one may find that the IUD is in fact, not correctly placed. 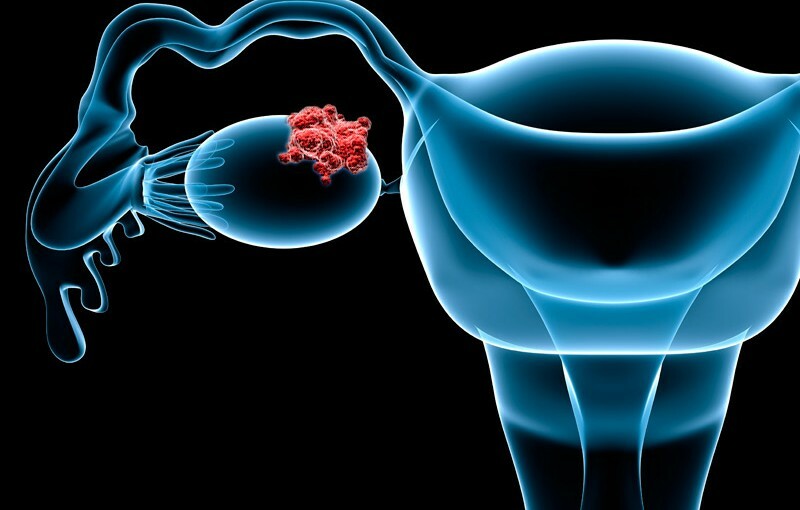 Technology has drastically improved the level at which we can diagnose and understand gynecologic pathology, however there are two important factors to consider. You must have an ultrasound machine with the latest developments in 3D technology and an experienced sonographer performing the ultrasound. So why does 3D ultrasound make all the difference? When the transducer takes a scan of an area, this data is then displayed on a screen in three orthogonal planes. These planes can then be rotated and viewed as desired and even be cut into slices. They can also be placed together to make one single 3D image in order to analyze the bigger picture. Another great advantage of 3D ultrasound is that the data can be swept in seconds and stored for review at a later time. 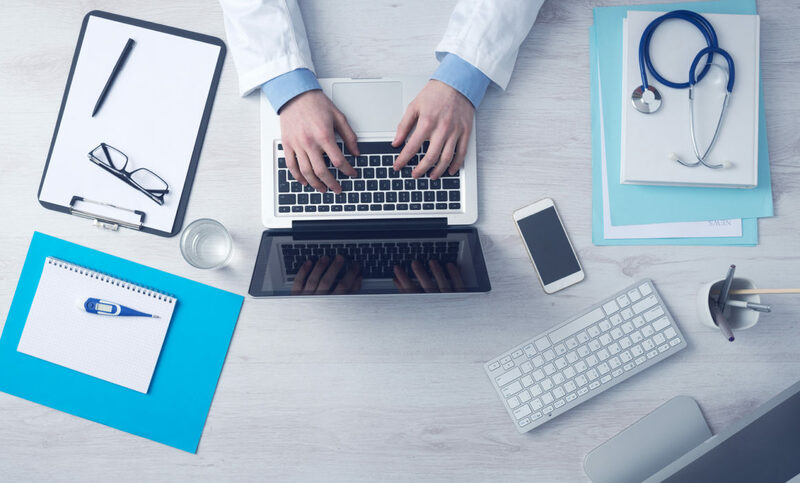 This makes it possible to study and manipulate the reports in the absence of the patient, which will increase the efficiency of your appointments. The vast amount of data that is collected from a 3D scan is remarkable, therefore its accuracy and clarity is unmatched. Making sure you have the latest equipment at your facility is extremely important, but making sure you have staff members with the right skill sets and technique, will guarantee high quality outcomes. 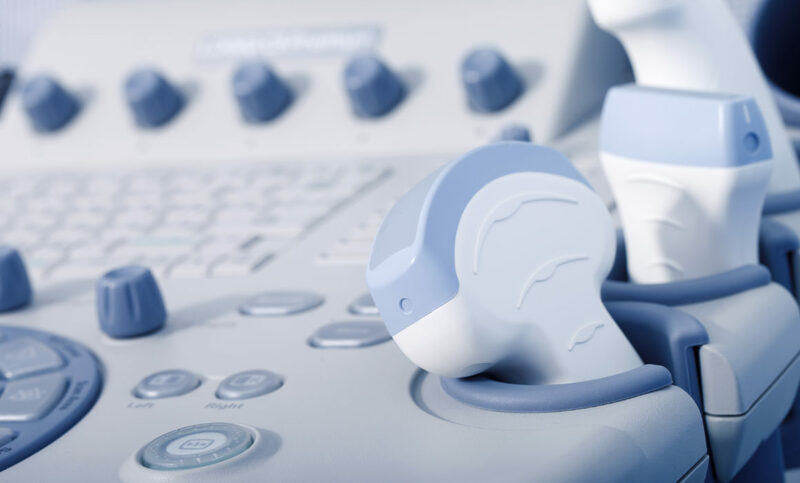 At Soundwaves, not only do we guarantee top of the line 3D Ultrasound capability, we also hire and train sonographers with outstanding prerequisites and a fine-tuned specialization. This, along with our vast inventory of 3D equipment, is what sets Soundwaves apart from other ultrasound providers. To make sure your patients are receiving top quality care, please visit our website or give us a call today. We look forward to working with you! In order to achieve the most accurate results, there are a few ultrasound studies that are best scheduled within a certain time frame. Namely, these studies are: sonohysterograms, studies performed for evaluation of the endometrium, nuchal translucency, and anatomy studies. 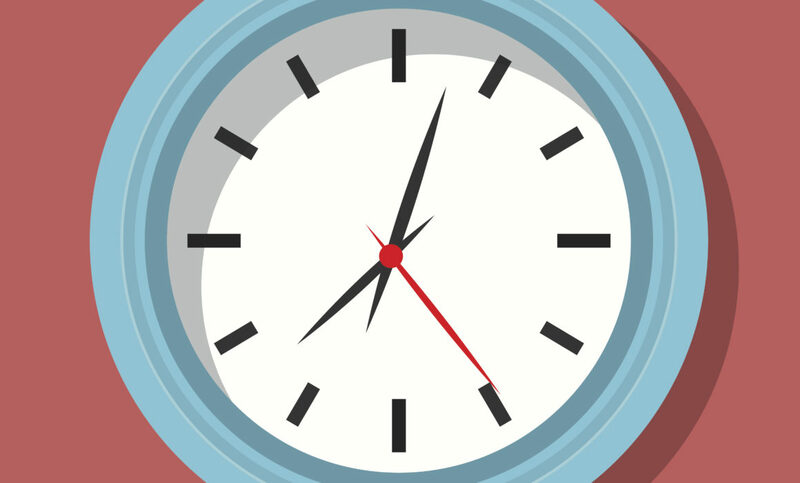 The best time to evaluate the endometrium for possible polyp, fibroid invasion, irregularity of the endometrium, or to get an accurate measurement when determining endometrial thickness, is between days 7 and 10 of the menstrual cycle. This is also very important when performing a sonohysterogram to avoid a false positive result. If your patient is spotting between periods or having abnormal bleeding, accurate evaluation of the endometrium and the timing of the evaluation are very important. The guidelines given by the NTQR state that nuchal translucency (NT) ultrasound is to be performed between 11 weeks and 13 weeks 6 days. The objective is to balance early detection of a problem with the ability to see the baby well enough. Performing an NT ultrasound between 12 ½ and 13 ½ weeks will help allow for accurate evaluation. Sometimes, when performed earlier, it is difficult to clearly evaluate the NT due to the size of the baby. With anatomy scans, we face the same issue. We want to detect abnormalities as early as possible, however, we also want to be able to see small structures well enough to clearly evaluate them. When we are looking at small structures such as the chambers of the heart, it is important that that we have the clearest view possible. Performing anatomy scans close to the 19-20th week rather than week 16 may help one evaluate these smaller structures. I have been in the field of ultrasound for 25 years and I am able to advise your office on many ultrasound related subjects. Feel free to contact me for advice on how to make sure your ultrasound practice is of the highest accuracy and quality. Ultrasound Tips 101: Pelvic Ultrasound-No More Full Bladders! We have all been there before, the patient in the waiting room is glaring at everyone who walks by because she has a full bladder and the ultrasound tech is running 20 minutes behind. I have good news for you and your patients, in most cases, a full bladder is not needed, and as a matter of fact, when the patient drinks too much water and the bladder is too full, it can have negative effects on the transvaginal portion of the exam. The transabdominal portion of the exam is an overview, and an important way to rule out a large mass such as a pedunculated fibroid, or a mass that is located superiorly. These masses may be difficult to see transvaginally, making the transabdominal ultrasound very important. 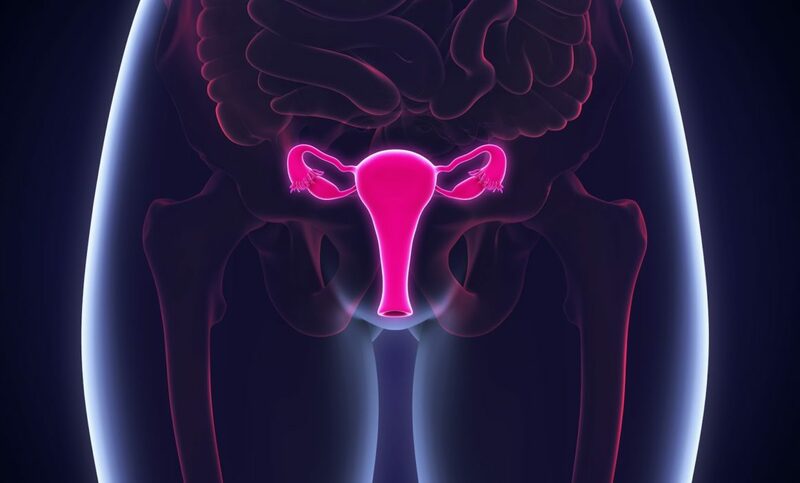 If we are looking at a fibroid uterus, or at a large mass, in most cases, a full bladder is not necessary to properly evaluate these structures because these structures are large and easy to see. When performing a transabdominal ultrasound, a partially filled bladder is usually all that is needed. In the old days, the transvaginal ultrasound did not exist, therefore, the only way to see the uterus and ovaries was to fill the bladder completely. This is no longer the case. In most cases, the transvaginal ultrasound gives us a beautiful detailed look at the uterus, endometrium, and the ovaries. The detail that is achieved with transvaginal ultrasound is phenomenal. Polyps within the endometrium, septations or small polypoid structures within an ovarian cyst are virtually impossible to visualize transabdominally. The two studies complement one another very well. Not only is a completely full bladder unnecessary for the transabdominal study, if the patient drinks too much water, oftentimes after she empties the bladder, by the time she changes her clothes for the TV portion, her bladder has begun to fill again. A partially filled bladder can interfere with the quality of the transvaginal images because the full bladder pushes the structures away from the probe. If the bladder is too full during the transvaginal portion of the exam, the patient must be sent back to the bathroom to empty a second or third time. You can imagine how frustrating this entire ordeal can be for the patient. This will also more than likely cause your ultrasound schedule to run behind. Avoid all of this frustration by not requiring your patients to completely fill the bladder, you will have happier patients and better quality pelvic ultrasounds! 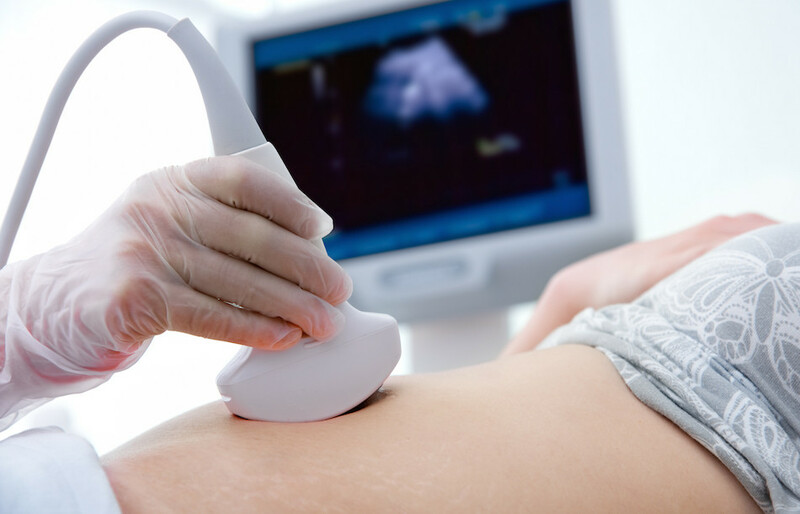 At Soundwaves we believe that working with experienced sonographers who have a passion for what they do and having top of the line equipment will lead to ultrasound reports that are specific and accurate. Watch my video to find out more about why I founded my company, Soundwaves, and how we can help you with all of your ultrasound needs. 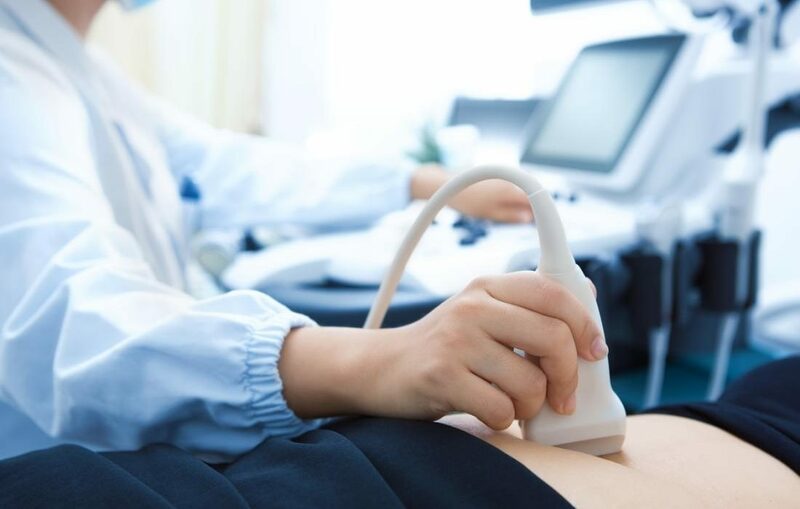 Soundwaves is an elite and highly specialized in-office ultrasound service that delivers reports which are tailored to the specific needs of the physician. 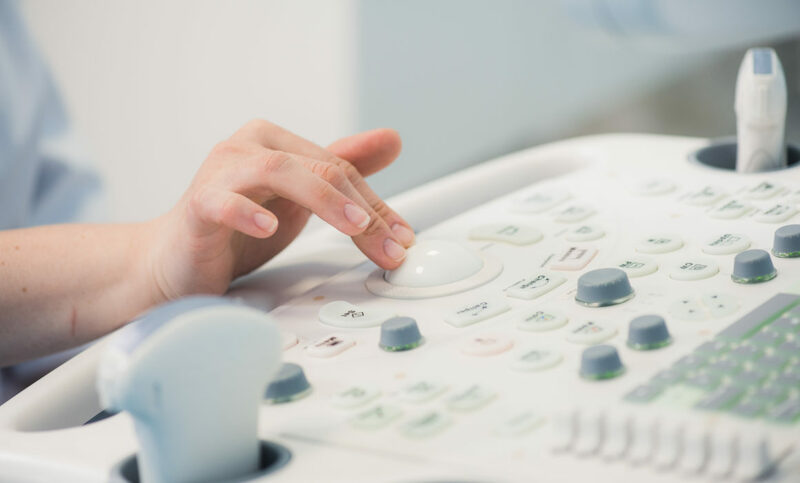 Our turn key service brings state of the art equipment and highly skilled sonographers to your office to assist you in providing the most accurate results. As a sonographer with 25 years of experience, founder Denise Barbato, knows the importance of the details required to deliver accurate, detailed reports. Next time you find yourself understaffed or overbooked, let Soundwaves fulfill all your ultrasound needs. mistaken for a large complex mass. fine details, and achieved by utilizing a deep foundation of experience and knowledge. today and experience the Soundwaves difference!